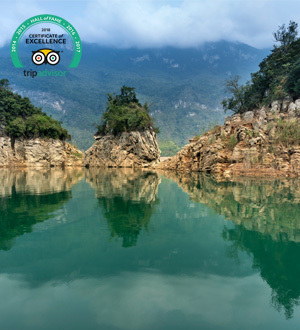 A unique Sapa hiking trails experience escorted by a professional expert guide. 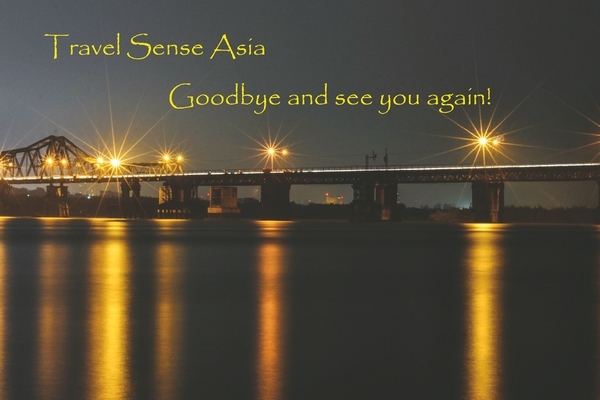 Hanoi Departure: We will pick you up at the hotel then transfer to the station for a night train leading to Sapa. 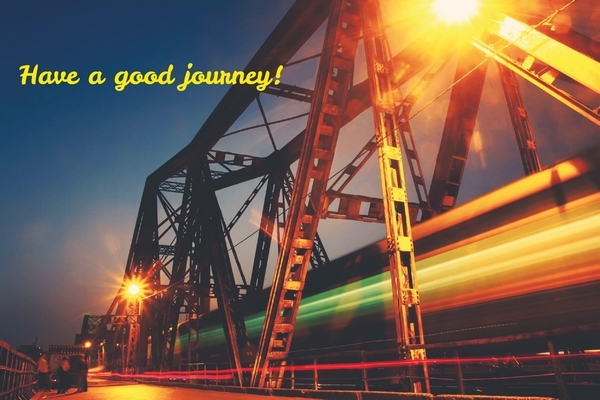 The train leaves at 22.00 from Hanoi railway station, which spends about 10 hours to get there. 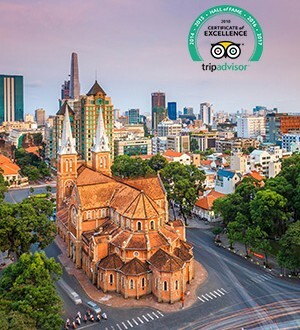 Cha ca La Vong (14 Cha Ca St), Hanoi is a 100-year-old restaurant that is often a must-not-miss in guidebooks. 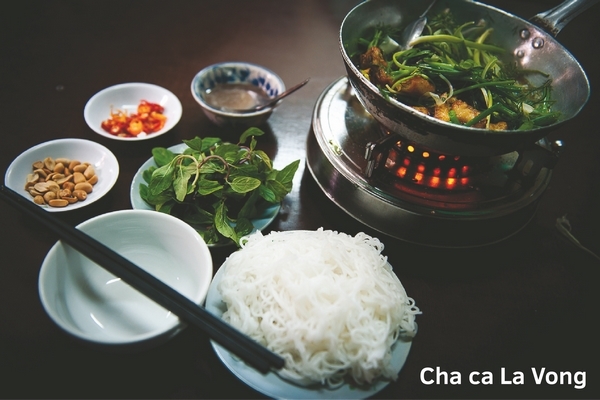 It serves one iconic, delicious dish, called cha ca la Vong, which also happens to be the name of the restaurant. 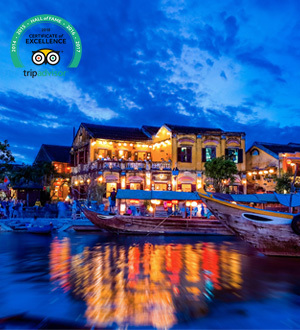 Just as its name: Ancient Town (89 Hang Bac St), this restaurant is located on an very old street of Hanoi and also offers Vietnamese traditional food. Moreover, the restaurant is simply and elegantly decorated and will bring you the most comfortable feeling. To make it safe, you should lock the door of cabin when you are inside. If you require a private cabin, please feel free to give us a request. Lao Cai Welcome: Freshen up in the morning at Lao Cai railway station and start your day by dropping in regional market which shows you how Vietnamese ethnic minority’s life is. Experience the noisy atmosphere at Bac Ha market the largest market in the region, here you will meet Flower Hmong (Red Hmong), Black Dao, Tay, Nung, La Chi, Phu La and other minority groups who come from far and wide to buy and sell a wide variety of goods and livestock, to exchange news and to renew friendships. chicken feet, horse legs, even dog to local crafts. 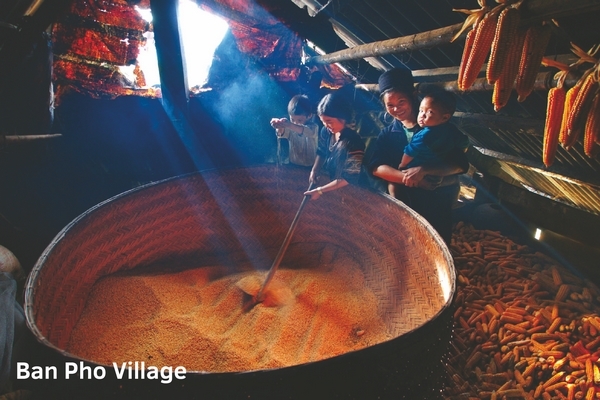 Spend 2 hours on trekking to Ban Pho village (Flower H’Mong people) a mountainous commune of Bac Ha district, which is very famous for its specialty “corn wine” and owning some of the kindest people you’ll meet in Vietnam. Bac Ha sour noodle (Pho chua Bac Ha) made from same ingredient as Pho Ha Noi, but the taste is particular and special. This food also is one of specialties of Sapa which tourist never can forget. 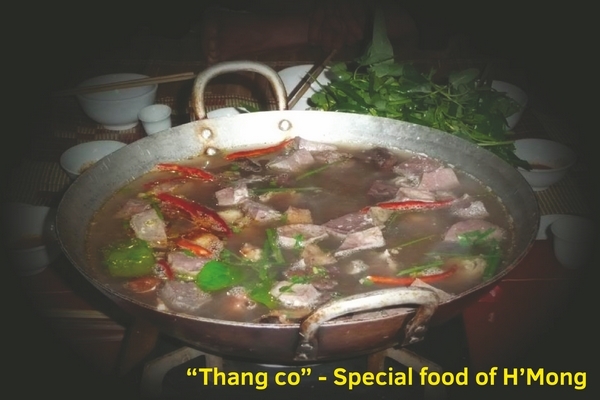 Thang Co is the traditional food of Hmoong people and it has been cooked for hundreds year, a type of soup which is made of horsemeat, horse’s viscera and horse’s bone. 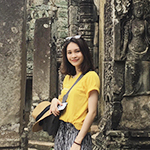 Sapa welcome: Meet your guide at your hotel. Then we start the hiking in Sapa trip to these Black Hmong villages and we’ll have a rest and enjoy your lunch near by the river. Sapa, located at 1500 meters (4921 feet) above sea level in Vietnam’s remote northwest mountains, which is famous for both its fine, rugged scenery and also its rich cultural diversity. 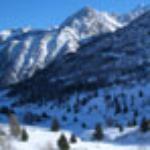 Follow a road going downhill to Cat Cat village where you will be impressed by the peacefully picturesque sceneries. People can easily catch sight of women sitting in front of the loom with colorful pieces of brocade, while children playing around with pets or even livestock. 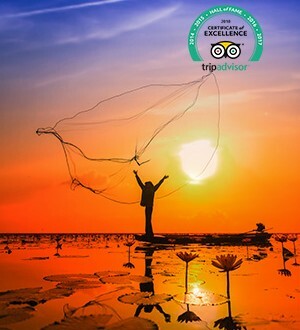 Contemplate all the beauty of nature in a waterfall, rice paddy terraces and a narrow blue river while you are on the way. 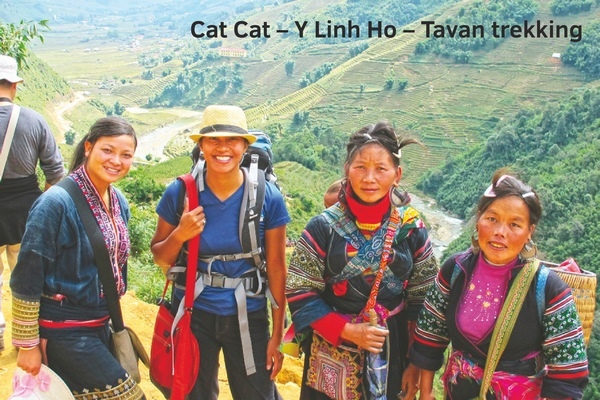 Conquer Y Linh Ho village which is a small commune composed by a dozen of small hamlets scattering on the very tough mountain terrain with high and steep mountains. 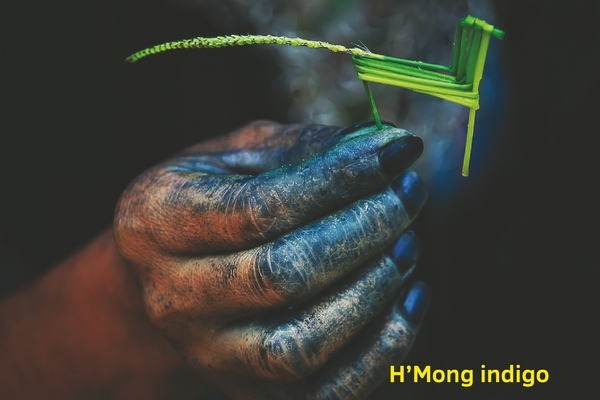 This village is home to the Black Mong who wears very dark clothing in blacks and navy dyed with indigo (often seen on the hands of older Mong women). 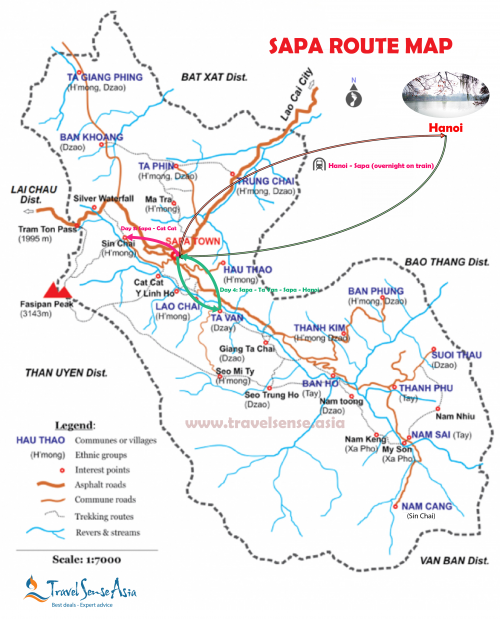 Reach Lao Chai village where both its sides are the Hoang Lien Son mountain range and grandeur Ham Rong Mountain. Coming here, you find that these terraces connect Lao Chai to mountains to soak up the clouds in the sky. 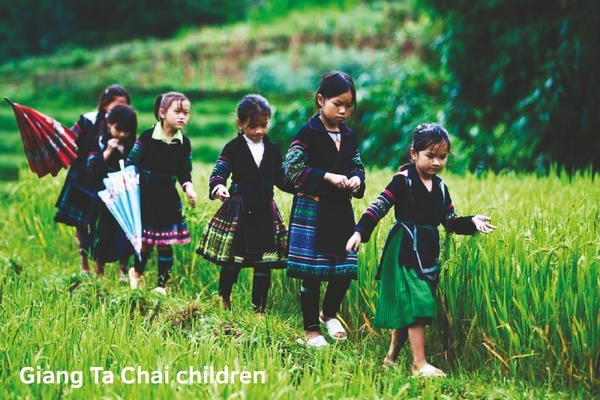 Go further 5km to come up Tavan village where the Zay, Giay and H’mong ethnic people live together. 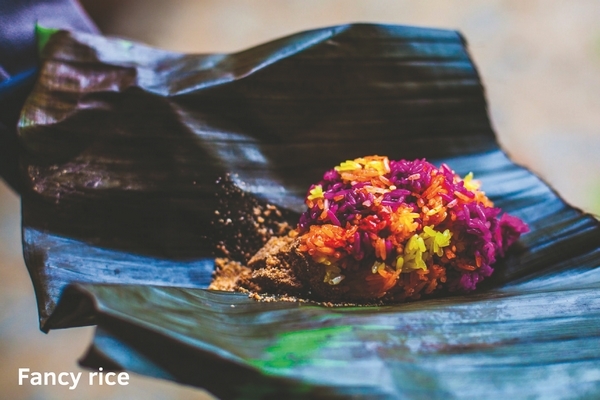 Spend the rest of day in local house of Giay minority to find out their culture, get known customs and taste some local dishes. 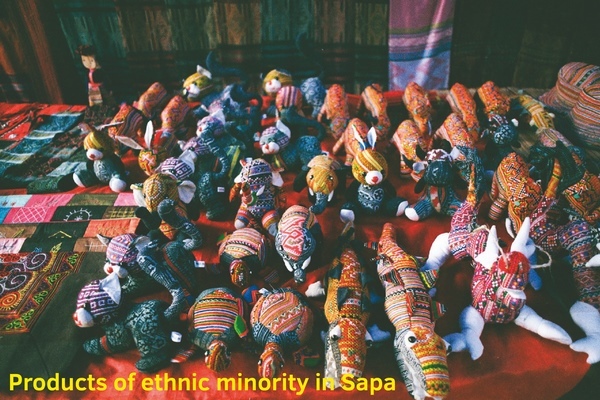 Register the cooking class to learn and experience the unique cooking methods of the ethnic cuisine of Sapa together with English speaking Hmong chef. Recharge your energy to be ready for your last day trek by having a delicious breakfast. We will enjoy the rest of stunning scenery on the way back to Sapa town. 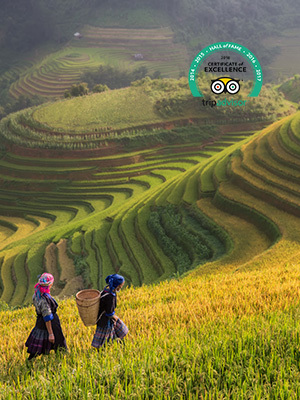 Walk past beautiful terraced rice fields, we will also trek through a gorgeous bamboo forest which belongs to Hoang Lien National Park to a picturesque waterfall in Giang Ta Chai village, home of Red Zao, Hmong and Dzay minority. Continue toward Su Pan, located along Muong Hoa Valley like Lao Chai and Ta Van but Su Pan village can be referred to as “mountainous commune”. Occupying the highland on the east side of the main road about 17 Km from Sapa town, Su Pan. 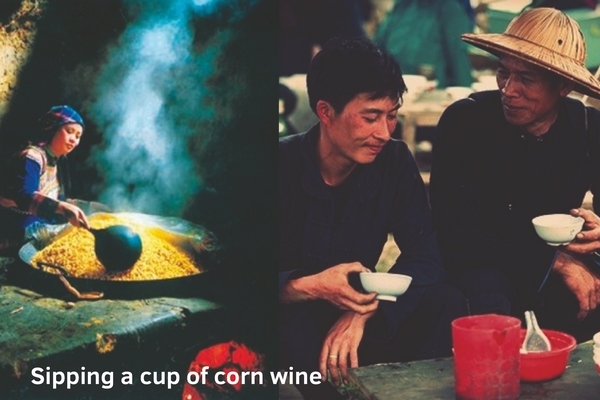 Sipping a cup of corn wine and you will feel the torrid and very hot flavor and at the same time a sweet taste like the quintessence of the earth and firmament. Spend 1-hour driving, 3 hours walking and 1-hour lunch. Hanoi Arrival in the early morning. 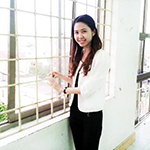 Hotel accommodation in twin/ double sharing basis with daily breakfast. Door to door pick-up/transfer service with private air-conditioned vehicles.